This product is used for qualitative detection of the presence of Gonorrhea in female cervix and male urethra, and the clinical auxiliary diagnosis of Gonorrhea infection, and test results also need to be further confirmed by the clinician in connection with symptoms, signs and other test results. Gonorrhea diagnostic kit uses highly specific antigen-antibody reaction and immune chromatography analysis techniques for the qualitative detection of whether clinical specimens contain Gonorrhea trachomatis antigen, and the kit contains Gonorrhea trachomatis antigen-specific antibodies, which are pre-fixed on the test area (T) on the membrane, and the corresponding antibodies on the quality control area (C). During the detection, the pyrolysis-off specimens on the cotton swab are titrated into the sampling wells (S) of the kit, and the specimens make a specific antibody reaction with the Gonorrhea trachomatis antigen of the pre-coated gold particles. Then, the mixture followed up with upward chromatography under capillary effect. If it is positive, gold-labeled Gonorrhea will first bind with Gonorrhea trachomatis antigen in the specimens in the chromatography process, then the bonder will be combined by specific antibody of Gonorrhea trachomatis antigen, which is fixed on the membrane, and within the test area (T) there will appear a red band. If it is negative, there will no red band within the test area (T). Regardless of whether the Gonorrhea trachomatis antigen exists in clinical samples, there will be a red band within the quality control area (C). 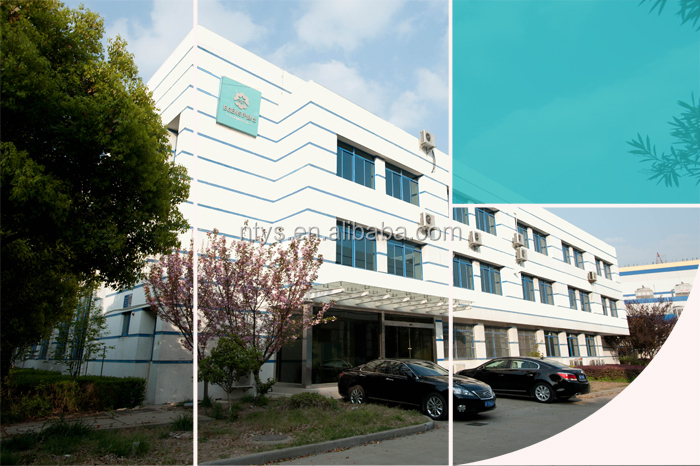 The red band within the quality control area (C) is to determine whether there is sufficient sample, and whether the process of chromatography is in line with the normal standards, and at the same time it is used as the internal control standards of the agent. The quality of the collected specimens is of paramount importance for Gonorrhea detection. The detection quality of Gonorrhea depends on the accurate sample collection techniques, which should make samples contain a large number of a certain active cellular components, and the samples should not just contain body fluids. 1. Use sterile cervical swabs, or sterile linen, polyester swabs. Before sampling, wipe mucus of the cervical extraoral region with other swabs or cotton balls, and insert the sampling swab into the cervical tube through the squamous columnar epithelium junction, until the swab head has been virtually invisible. After rotating swab for 15-20 seconds, take it out, and do not hit the outside of the cervix and vaginal wall. This will ensure to get more columnar epithelial cells, while the Gonorrhea mainly parasite in columnar epithelial cells. 2. Cervical samples can also be collected by the use of cell brush (not provided) (Note: Pregnant women should not use this method). After cleaning the cervical extraoral region, insert a cell brush into the cervical tube, through the scale columnar epithelial cells junction, and stay for 2-3 seconds, and after two cycles of rotating brush cells, take it out, and be careful not to hit the vaginal wall. 3. If the detection can be immediately carried out, please place the swab in the samples processing tube after sampling. Urethral-use swabs or cells brush (not provided) can be used for urethral sampling. Patients should not urinate within at least 1 hour before sampling. Insert the swab or cell brush into the urethra for 2-4 cm, and after rotating for 3-5 seconds, take it out. If the detection can be immediately carried out, please place the swab in the samples processing tube after sampling. If you don’t take an immediate test, place the sample in dry test tube for storage or transportation. 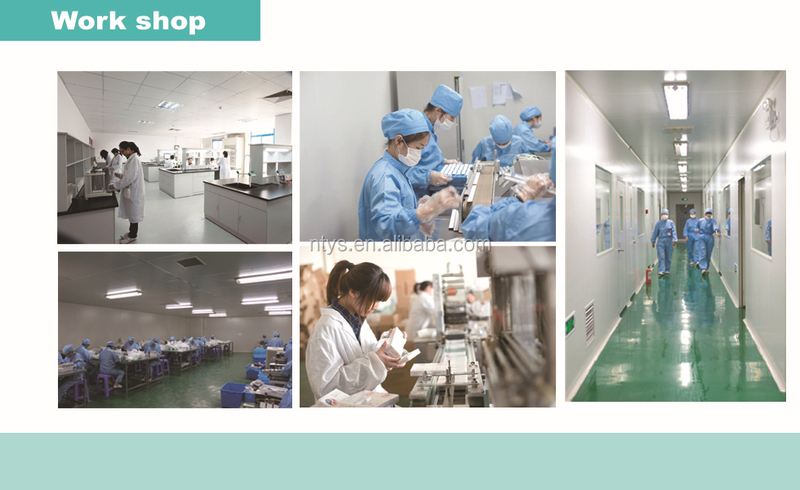 Sample can be kept for 4-6 hours at room temperature (15-30 ℃), or (2-8 ℃) kept under cold-storage for 24-72 hours. It can not be frozen. All specimens should revert to room temperature before detection. We propose that the experiment should be made immediately after sample collection. Place the sample processing tubes on the worktable, and add 6 drops of extraction solution A. Put the sampling swab into the sample processing tube, which contains extraction solution A, and store at room temperature, and continuously rotate and squeeze the swab in the tube wall in the process, so that the liquid is constantly being squeezed out, and repeat it for several times and deal with it for 2 minutes. Then add 6 drops of extraction solution B, and rotate and squeeze swab, as far as possible make the liquid flow out, and then discard the swab in line with the handling method of infected goods. If the samples shall be used, within 60 minutes after treated, this will not affect detection results of the kit. 1. Please read the instructions for the test kit carefully before operation. 2. Take out the test kit from the sealed bag, and place it in a clean, dry and level worktable, and label the sample number or name. If the test kit is stored at the place, which temperature is lower than room temperature, and the test kits and reagents required to be taken out in advance, and it should revert to room temperature before it is being used. 3. 2 ~3 drops of processed samples in the sample processing tube should be dripped into the sampling wells of the test kit. 4. Wait for the appearance of the results. 10 minutes after the sample is dripped, the results can be interpreted. The time of the red line varies in line with the contents of Gonorrhea, which is collected with swabs, and some positive samples may show the result after 60 seconds. In order to ensure the negative results, please do not judge the result after 15 minutes. Positive: Two purple bands appear at the test line and the control line of the test card. The positive results show that: samples contain Gonorrhea trachomatis antigen. Negative: Only one purple band appears at the control line of the test paper card. Negative results show that: Gonorrhea trachomatis antigen can’t be detected in samples, or the content is below the detectable range. Patient specimens should be confirmed no Gonorrhea trachomatis infection by culture. If the culture results and test results are inconsistent, and take another sample to culture. Invalid: If there is no purple band at the control line, it indicates that the operation course is incorrect or the kit fails. In this case, please re-read the instructions carefully and use the new test paper cards for re-test. If there are still problems, the batch product should be immediately stopped use, and please contact with local suppliers. 1. The purple bands, which appear at the control line, is used as the internal control standards of the test paper strip. 2. The purple bands appear gradation phenomenon at the testing line, when testing different specimens, and this is due to high and low concentrations of surface antigen. However, within the specified time, regardless of the depth of the ribbon color, even if only a very weak ribbon should also be judged as positive results. 1. 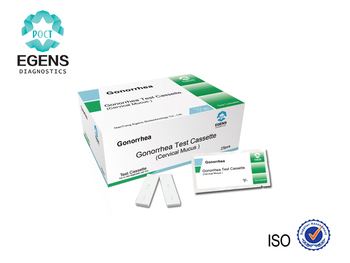 The detection of Gonorrhea trachomatis with this kit depends on the content of Gonorrhea in the sample, sampling methods and the patient’s condition: such as age, venereal disease history, whether there is symptom and other conditions shall affect the detection. 2. If determining the Gonorrhea of different serotypes with this kit, the minimum detectable level shall be also different. 3. May be due to operational improper of technology or steps, and the presence of other non-listed drugs, which may interfere with detection, and it shall interfere with detection and lead to inconsistent or erroneous results. Please refer to the column [Performance indicators of products]to look over the list of substances that could interfere with detection.